In 1846, the Donner and Reed families decided to pull up stakes from their homes in Springfield, Illinois and head for greener pastures in the territory of California. Although both families enjoyed moderate wealth and success in Illinois, the allure of California beckoned to them with the possibility of greater opportunities. The window for making the wagon trip across country would be short: pioneers would need to leave just after spring rains in April and arrive at the Sierra Nevada mountains before the first snows hit in mid-Autumn. Delayed by late rains, the families and others who joined them took a gamble on a shortcut through Utah called the Hastings Trail, written about in a guidebook by Lansford Hastings. The author promised to personally meet the families on the trail. 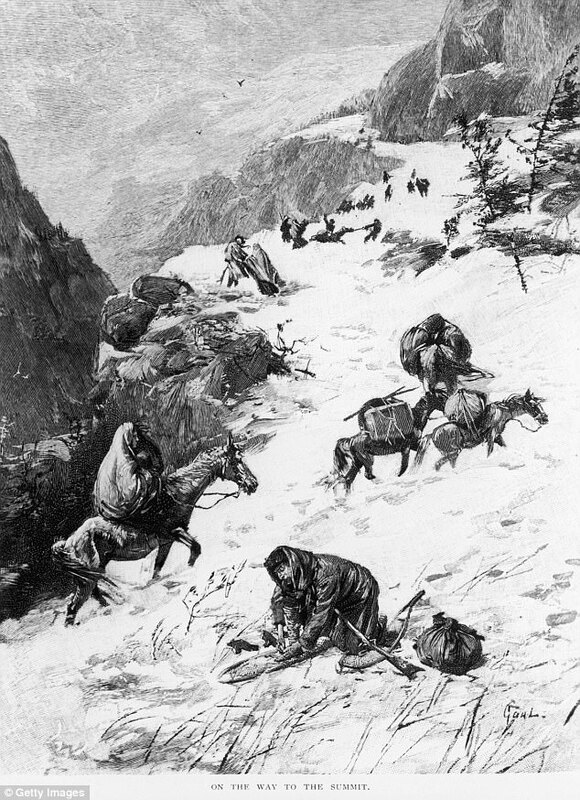 That turned out to be a false promise and the shortcut was anything but, as the Donner Party faced difficult trekking over the Wasatch Mountains and torrid heat in the Bonneville Flats. A month behind schedule, they reached the east side of the Sierra Nevada range just as the first snows began to fall, short on food with temperatures plummeting. Armenia has a very long history. It was the first state to adopt Christianity as its official religion. But with the arrival of the Turks from Central Asia in the 11th century, Armenia's neighbors gradually converted to Islam. The nation was split into Eastern and Western Armenia by the Treaty of Zuhab in 1639 and Western Armenia fell under Ottoman Turkish control. But as the Ottoman Empire went into decline relations between Muslim Turks and Christian Armenians deteriorated. 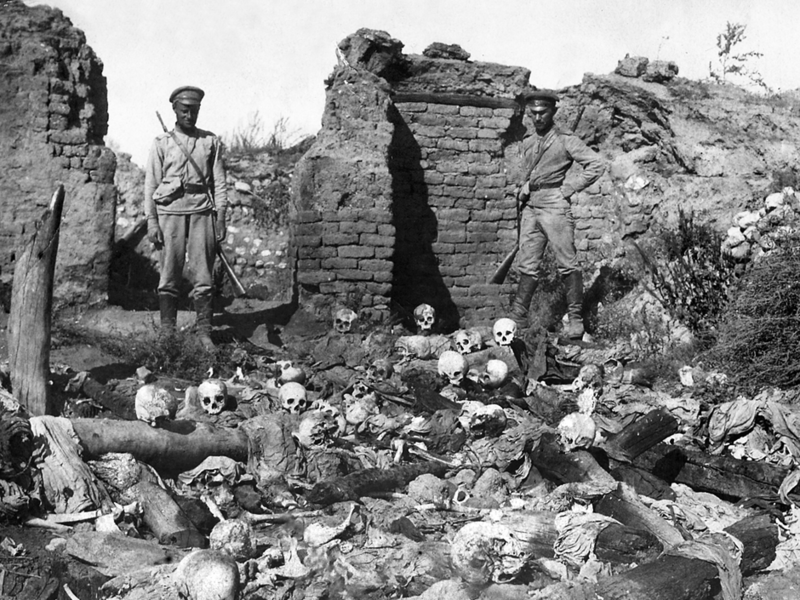 Demands for reform led to massacres of Armenians. On April 24, 1915, Armenian intellectuals and community leaders were rounded up, deported and later killed. That day came to be known as Red Sunday and it marked the beginning of the genocide that would ultimately take 800,000 to 1.5 million lives. 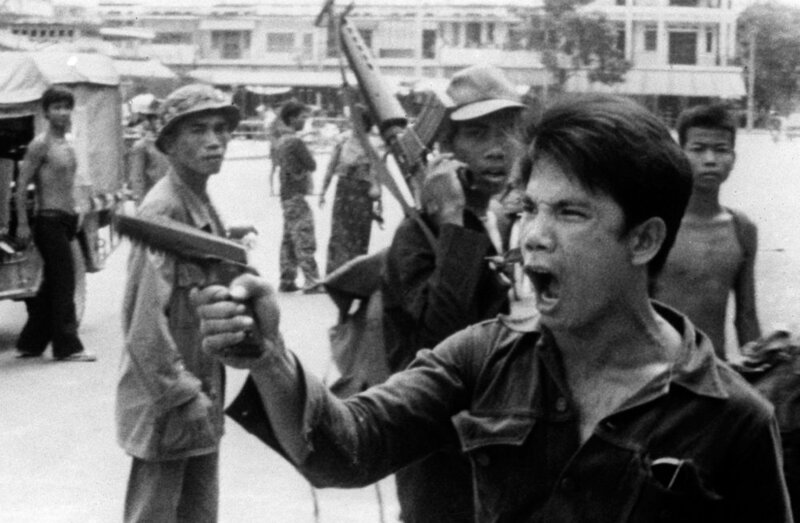 In 1975, the Communist Party Khmer Rouge came to power in Cambodia. They began a series of measures to eliminate their perceived internal opponents and to transform their country into an agrarian-based, communist society. Their first targets were members of the former government as well as professionals, intellectuals, Buddhist monks, and ethnic minorities. Their leader, Pol Pot, was determined to eliminate anyone who could potentially oppose him. Pot tried to cleanse Cambodian society along racial, social and political lines. He banned the use of minority languages and banned the existence of minority groups in a nation where such minorities made up 15% of the population. The Khmer Rouge reign of terror would last for four years until finally undone by a foreign invading army. On January 28, 1986, Space Shuttle Challenger blew up 73 seconds into its flight during liftoff, killing all seven members of the crew. The entire sequence of events was carried live on television as a shocked nation watched the spacecraft explode and break apart in front of their eyes. The explosion was caused by the failure of a joint in the solid rocket booster. Seventeen years later, the Space Shuttle Columbia had finished its mission and was returning to earth. During launch, a piece of foam insulation about the size of a suitcase broke off the exterior of the shuttle and struck the left wing. The impact created a 6 to 10-inch hole. That hole allowed hot atmospheric gases to penetrate and destroy the internal wing structure during re-entry, causing the vehicle to become unstable and break apart, killing all seven members aboard. The failure of parts without negative consequences was so common in the space shuttle program, there was a name for it, "normalization of deviance." 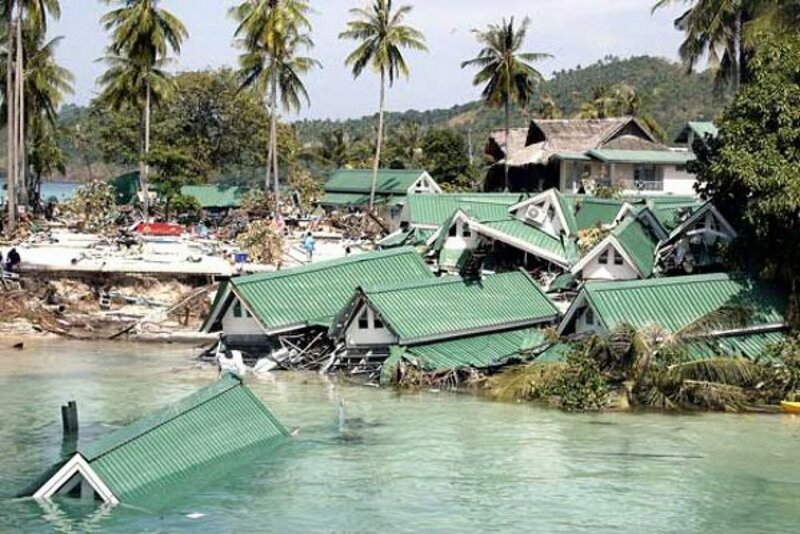 On December 26, 2004, an earthquake measuring approximately 9.2 on the seismic scale struck just off the west coast of Sumatra in Indonesia. It was the third largest earthquake ever recorded. The shaking lasted between 8 and 10 minutes. It actually caused the entire planet to vibrate as much as one centimeter. Because it struck the ocean floor in a violent motion near a number of highly populated areas, the death toll was enormous, ranging from 230,000 to 280,000 people. Fatalities took place in 14 countries when oceans waves pushed inland, crushing and flooding everything in its path. Damage was observed from South Africa to Alaska, meaning it literally affected half the planet. The tsunami also presented a study in class differences, while most of the fatalities and injuries happened to the poorer people who were eking out a living in the coastal communities, the tsunami also caught by surprise the many wealthy tourists from Western, developed nations that flocked to those coasts to enjoy their beautiful beaches.